Welcome To the Chamber, Sound Mind Ministry! 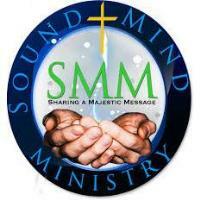 The Garner chamber is thrilled to welcome Sound Mind Ministry as a new member! OUR MISSION- Sound Mind Ministry (SMM) is a 501-c (3) nonprofit organization that ministers to the spiritual, emotional and personal needs of women and children, regardless of their race, religion, or creed. Sound Mind Ministry's goal is to provide Transitional Housing for women that are derailed and in need of transformation due to various reasons and conditions. Our mission is to rehabilitate women back into society by assisting with job skills, transportation services to and from work, and educational training which includes earning a diploma or GED. Additionally, we reach out to anyone that is in need of food, clothing and have expressed an interest in receiving personal assistance or other services offered by our ministry.